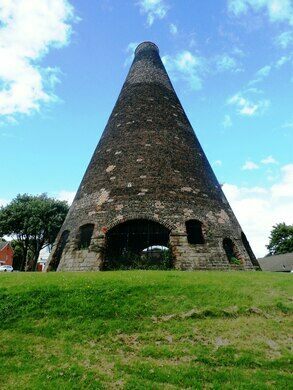 The oldest surviving glass furnace cone in Western Europe. 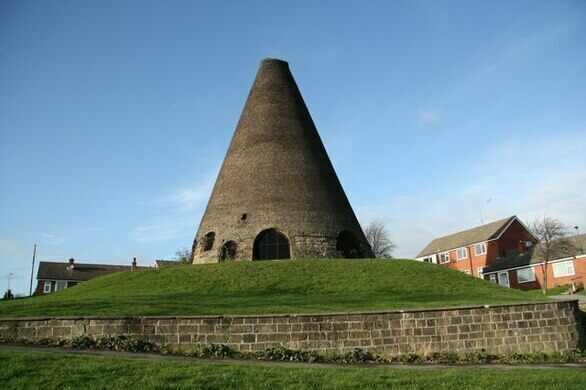 The Catcliffe Glass Cone is situated in the village of Catcliffe in South Yorkshire, in the city of Sheffield. It is the oldest surviving such structure of its type in Western Europe and measures 70 feet high. A midnight snack that lights up the night. Gothic tower mentioned in Thomas Hardy poem "The Channel Firing." It was part of the Catcliffe glassworks where there were originally two glass cone furnaces. The Catcliffe glassworks was established in 1740 by William Fenney. Fenney had previously been the manager of the glassworks at Bolsterton, to the North of Sheffield, which was owned by his mother-in-law. The site at Catcliffe was chosen in part because the terms of her will prevented him from setting up a glassworks within 10 miles of the works at Bolsterstone. The glassworks closed in the late 1880s but was reopened briefly in 1900. In WW1 the site was used as a prisoner-of-war camp with prisoners housed within the cone itself. Although glassmaking is an ancient process, it was carried out on a small scale until the development of industrialized methods in Europe allowed it to be produced in mass quantity. The fusion of silica and soda lime in a furnace was originally fired by wood. Because coal was available in Britain this prompted the development of the glass cone and allowed glass manufacturing on a larger scale. 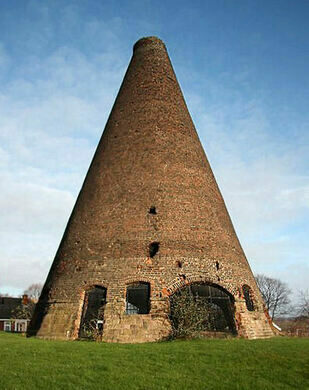 Glass cones consisted of a large coal-fired central furnace, a flue to carry waste gas to the top of the structure and away. Smaller furnaces around the walls were available to ensure the finished products maintained their temperature and there was a circular platform on which workers stood while making their glassware. Louvered vents could be used to control the flow of air and thus maintain the required temperatures in the structure. Although invented somewhat earlier, glass cones became much more common in the early 19th century. Further innovations in the glassmaking industry made the float glass production method, where sheets of glass are made by floating molten glass on a bed of molten metal (typically tin). This allowed the manufacturers to be based in fewer but larger works. Most cones were demolished after they fell out of use, and by the mid-1970s Europe, only three other glass cones survived in the United Kingdom. In 1968 the cone at Catcliffe received protection through Grade I listing and it currently sits as a centerpiece of a public open space in the corner of a sheltered housing development for the elderly. For visitors, there is free parking on the street, next to the church. In England, a barn-turned-wedding venue dates back to the 13th century. This oddly placed 15th-century church is one of only six bridge chapels left in England. A fitting tribute to a beloved local boxing coach that's produced four world champions. As part of a larger public art project, three pillars honor the past of Wincobank.